So we have defined connectivity as the aim / goal of the Internet of Things, we want to connect different devices together so we can ask them to work in harmony to make our lives simpler and perhaps more productive. Thats a great idea and one that I fully support and regularly work towards delivering; however, this isn’t without its challenges. Historically we have worked in certain ways and this is perhaps the most limiting factor in the adoption of new technology. We are conservative by nature and reluctant to embrace change and this is one of the key limiting factors to the adoption of smart technology. It’s a risk! We are comfortable with the way we have always done things! Again and again this is the argument so often used to counter innovation and change and I get it, I really do and being risk adverse myself I wouldn’t take a risk without analysing all of the potential pitfalls. As individuals we do this everyday, should I cross the road or not, should I overtake a car or not. Familiarity and education have taught us when to take a measured risk and we act or don’t act on that input. With technology, the risk is perhaps not so obvious and this is the factor that perhaps fogs our decision making process; we don’t have a clear message/input. Well, lets try and clarify the process to help empower you to make a decision. So lets demystify the process. If you choose not to embrace IoT then I see no reason why you cannot upgrade the system at a later date. It would be true to say that with dated systems working on proprietary software and hardware your options are limited. If you use an open protocol such as DALI-2 and BACnet (zencontrol) then you have the infrastructure to upgrade. It certainly has a value and once again this depends on the Application more than the technology. Technology for the sake of technology isn’t the ideal starting position and you really need to quantify the benefit over cost. An example I used the other day when responding to a post on IoT and Shopping Malls, is perhaps relevant to this discussion. If the Shopping Mall can record footfall and areas within the Mall where customers gather then decisions can be made on the which companies should be in that space and what premium could be charged for the location. Historically this has been done via market surveillance or from experience. Using IoT in this way ads value. That said with a good Lighting control system you can achieve the same result. This is perhaps the most complex question of all as the principles behind IoT are straightforward and known. Lets be honest, it isn’t that new and really the only major development has been the growth in wireless communication, but again Wi-Fi has been around for many years. We have system integrators today who link disparate systems together to achieve a semblance of integration and for the most part this works. Seamless integration requires local devices to make decisions of devices that are not traditionally part of their area of expertise. Lighting Multi-sensors will trigger the HVAC unit for example. This has been done for many years via Integrators that have used volt free connections and so called “Middleware”software to combine devices and create logical functions. However, this is clunky in many instances and by far the better way of integrating would be to have intelligent devices based on open standards that can be configured fully in software. That is why we at zencontrol support DALI-2 an open standard with intelligent inputs, switches and sensors that can be accessed via the BACnet enabled Application controller. Perhaps the number one challenge facing the Internet of Things is Education. There is so much information shared around this topic and for the most part, it’s interesting and sometimes useful. 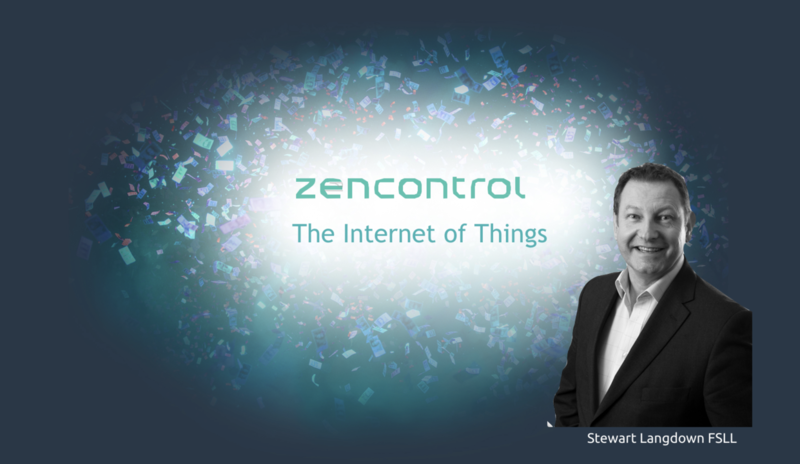 Delivering a fully IoT enabled system is something that can be achieved today, there is software and hardware solutions that will work together and integration is indeed possible. There is however, a caveat and that is understanding what restrictions you’re signing up too, with the current offer of so called IoT solutions. These might be restrictions on the choice of hardware or limited access to your information; you may have to pay to access your data. Different models exist for different providers and who is to say which one is the correct one. As they say, you pays your money and takes your choice. This will be a pure commercial decision, but one thing that should never be left to pure commercials is the selection of the protocols used to operate and manage your lighting. DALI-2 is the Benchmark standard for Lighting as it is based on IEC 62386 Part 102 and is truly interoperable. Part 103 defines the controls and the Application/Gateway. This is what we as an industry have signed up to, so at a local level this is the Lighting protocol for the Internet of Things. How we manage DALI-2 is something that is open for debate; languages such as Bluetooth, Wi-Fi, Li-Fi , VLC etc are all capable of providing control inputs to a DALI-2 Application controller which as we previously discussed is the Industry standard for Lighting control. Choosing the right technology has never been more important and your selection of subnet (DALI-2)will be the defining factor on how your IoT enabled project will develop through it’s operating life.